Al and Liliana are a special couple. That was evident right away. By special I mean the way that when they are together they light up the room. I first met Liliana over the phone before as she was booking her wedding with me. Liliana and her fiance live in New Jersey. 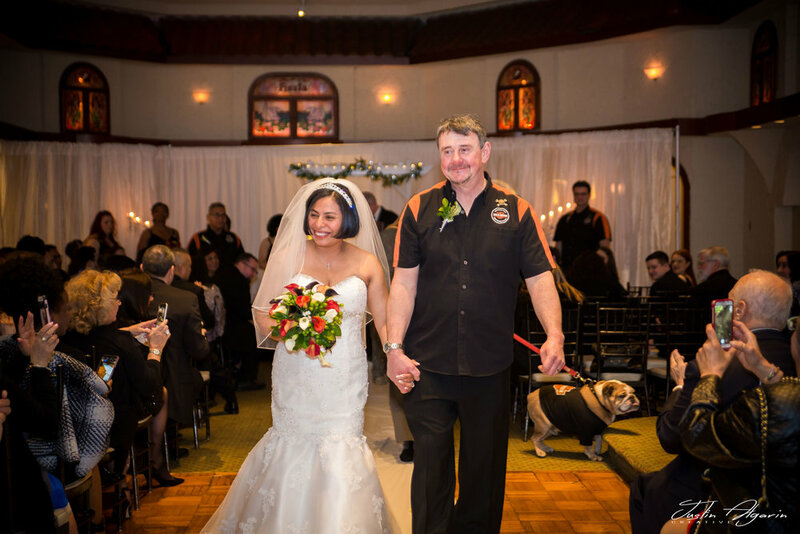 A couple things she mentioned to me over the phone that were important was to make sure I captured their dog and that they are big Harley Davidson people. She was beyond excited about her wedding coming up. When the time came for the wedding I flew up to Jersey from Orlando, Florida for the weekend. Was finally able to meet Al and Liliana face to face. A true genuine couple that deeply cared for one another. Just seemed to be something extra special about it. Oh, and I also finally meet Benny their dog. Ceremony time came and the place was packed with family and friends. Was a beautiful venue. After the I do's we went outside for some portraits and that's when I finally got to see this bright cherry red Harley Davidson with red LED lights underneath. This was their other pride and joy after their dog Benny. 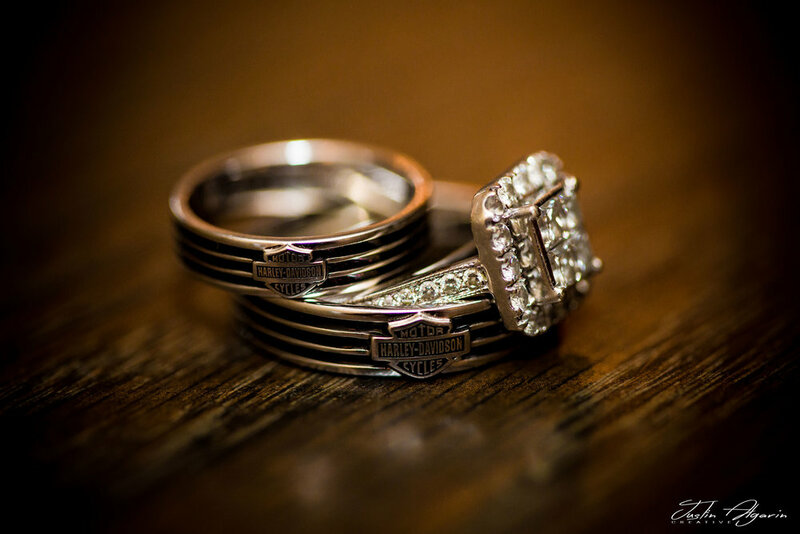 Loved being able to get some great photographs with them and their amazing Harley. The rest of the evening was a non stop party as they danced the night away. Liliana, being a Zumba instructor also did one of her Zumba routines that the majority of the guest joined in on and danced while others all pulled out their cell phones having to capture the moment for themselves. I wish I could put into words how the atmosphere felt that evening. I guess it was electric in a sense but was just something more that I can't find the right words to say. 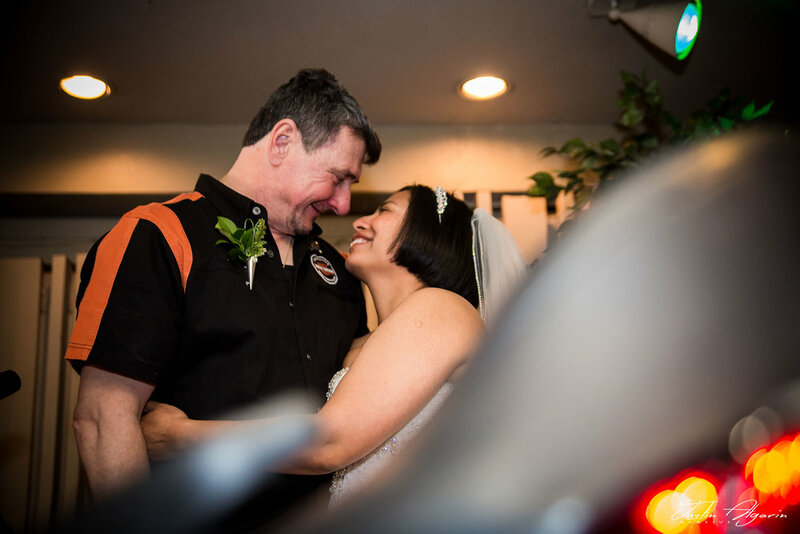 Other than that which I stated in the beginning of this blog, Al and Liliana are a special couple. And I believe it's evident through their wedding photos. 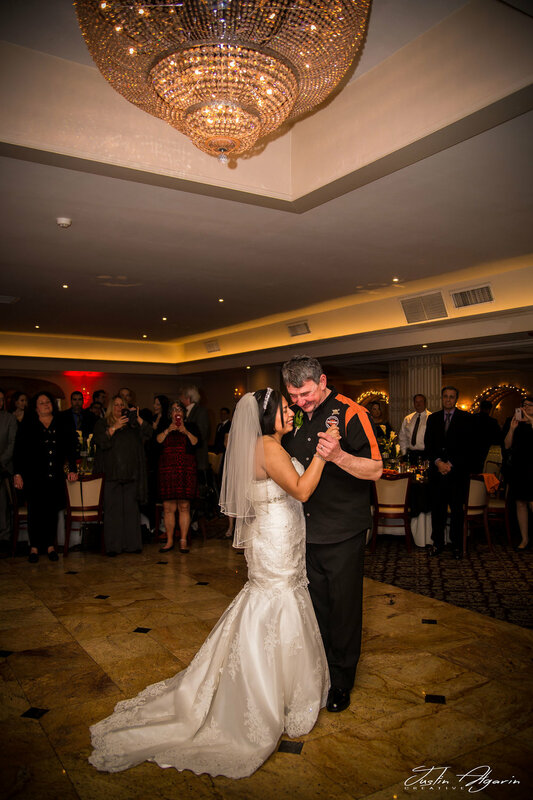 Take a look at some of their photos below of their special day! 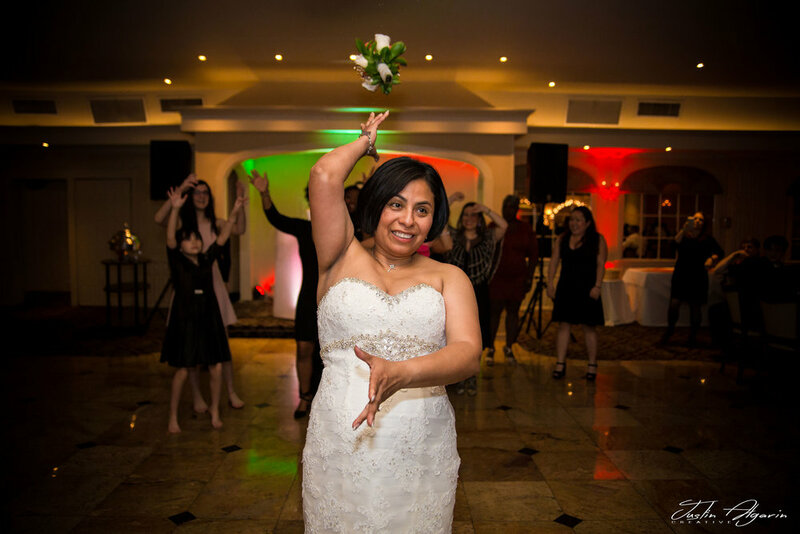 Want to see more of Al and Liliana's or photos from other weddings I have photographed....click here. 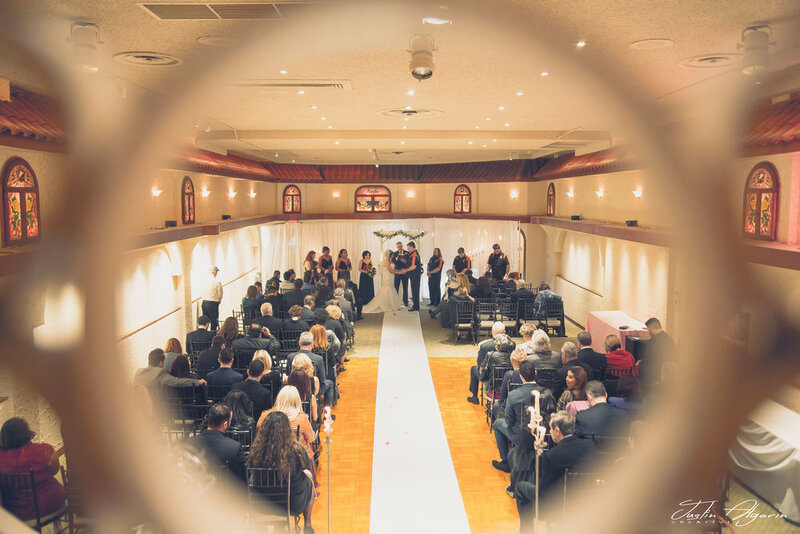 Are you in the process of planning your wedding? Contact me today about photographing your special day.